Adam Bluhm wins the LIGHTNING Division Ford 160 and Scott Olson wins the Championship at HOMESTEAD-MIAMI SPEEDWAY! Join N.A.S.S. by clicking HERE! Welcome to the N.A.S.S. ONLINE SERIES web site. The N.A.S.S. ONLINE SERIES originated in 1995, and continues to thrive as one of, if not, THE longest continuously running online simulation racing leagues to date. Tracing our roots all the way back to the series' initial event held on the Papyrus "HAWAII" servers, the N.A.S.S. ONLINE SERIES continues to be a premier series which continuously draws racers from both the pinnacle of the sport as well as from the ever growing pool of 'On-Line Rookies'. As a matter of fact, the N.A.S.S. ONLINE SERIES currently enjoys a truly INTERNATIONAL pool of drivers with racers competing from the U.S. and CANADA as well as a couple EUROPEAN racers joining in on a weekly basis! To retain a spot for us amongst the other great on-line sim-racing leagues around the world the N.A.S.S. ONLINE SERIES has our own dedicated server up and running upon which we host three weekly events. The N.A.S.S. ONLINE SERIES is comprised of 3 distinct divisions (N.A.S.S. LIGHTNING, N.A.S.S. THUNDER, and N.A.S.S. TRUCKS), which race on-line each week utilizing the Sierra Entertainment, Inc. and Papyrus Racing Games racing title NASCAR® Racing 2003 Season based on the most recent official patch and extensively utilizing special 'Mod' packages. Ever since the very first events the N.A.S.S. 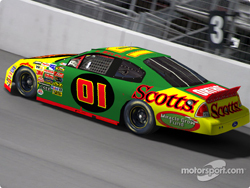 ONLINE SERIES has made every effort to make our Sim-Racing follow, as closely as possible, the actual NASCAR® series after which our Divisions are modeled. This means following the complete race schedules from February through November, correctly matching the 'Cup', 'Grand National' and 'Truck' 'Mod' packages for each of our Divisions, basing race lengths off of actual event parameters for all three of our Division events. The N.A.S.S. ONLINE SERIES family of competitors prides itself on weekly offerings of strong yet fair competition; we are fierce competitors - but more importantly, we are true friends. Right now the N.A.S.S. ONLINE SERIES does have openings for new drivers (especially in our entry-level THUNDER Division). To let us know of your interest in joining N.A.S.S. 'hover' your pointer over the 'JOIN N.A.S.S.' link above, and then click the 'REGISTRATION' link which is displayed just below that in the gold bar; or simply click HERE! Fill out the registration form and tell us a little bit about yourself and your racing. We make it a point to review every single registration application which comes to us via our web site, and would love to explore the possibility of giving you a chance to be one of the newest members of this exciting, fun and highly competetive organization!